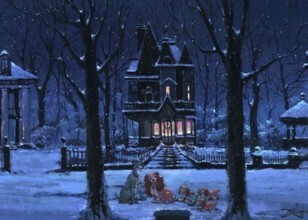 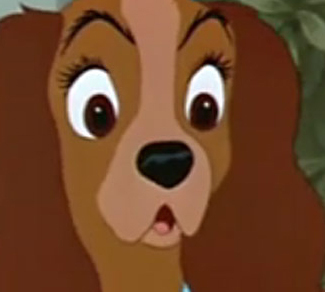 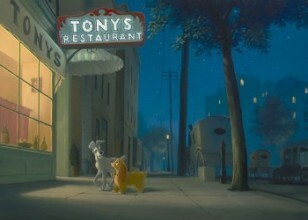 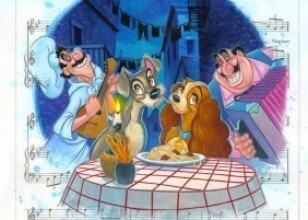 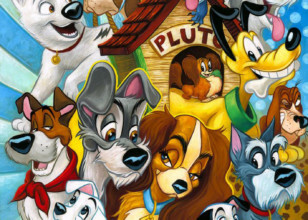 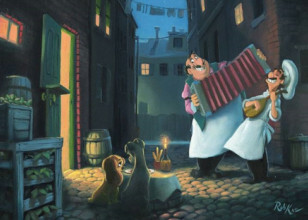 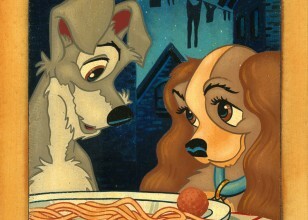 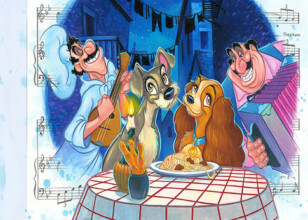 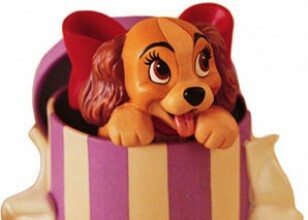 The titular characters of the 1955 Disney film Lady and the Tramp, Lady is a upper-class, refined cocker spaniel while Tramp is a stray mutt from the other side of town. 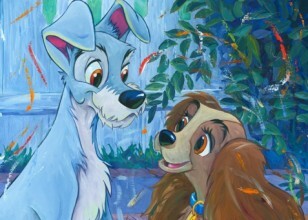 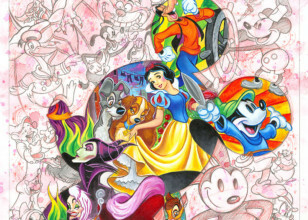 They meet and fall in love, with Tramp helping Lady on multiple occasions and showing her his way of life. 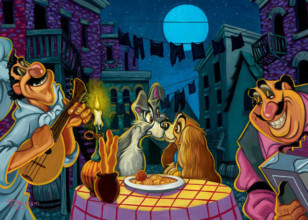 One of their biggest claims to fame is the famous dinner scene in which they share a romantic candle-lit dinner. 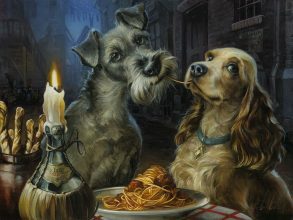 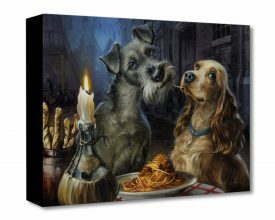 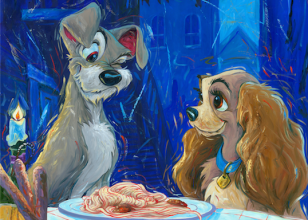 The sequence of Lady and the Tramp share a plate of spaghetti and meatballs—climaxed by an accidental kiss as they swallow opposite ends of the same piece of spaghetti—is considered an iconic scene in American film.